Miles’ great love, of all the arts, was classical music. If composed by Mozart, so much the better. I’m more of a theatre person, especially if the plays involved are about interesting ideas and interesting people. I am, therefore, very happy to have Playwrights Local hanging out in the Creative Space at Waterloo Arts, doing their distinctive version of what’s going on in the lives of contemporary Americans in general, and Clevelanders in particular. Next month, we have two productions to look forward to: a staged reading (actors holding scripts, standing at lecterns, magically creating, say, a Brooklyn apartment during a power outage with nothing but their faces and voices), and a more fully staged production of a musical. Some Playwrights productions are not so much entertainment as opportunities to take part in workshops, some are pretty polished; all I have found engrossing. Staged Reading: The Cardinal (Friday, April 5 at 7:00 pm) is about a holiday dinner gone awry. It’s a story of legends, legacies, and the complicated bonds that tie family members together (or don’t). The entirety of the play takes place in four rooms of one house: the dining room, the front porch, the bathroom, and the basement. All scenes transpire on Thanksgiving 2016 somewhere in Ohio. Admission to the reading is free. Playwrights Local & The Young Playwrights Collective have joined to present a workshop production of a new musical, Tatterhood, book and lyrics by Julia Fisher, music by Vickey McBride, direction by Tammy Shanley, Thursday - Saturday at 7:30 p.m., April 11 – 13. Tickets $8 General Admission, https://bit.ly/2SFmeXo. 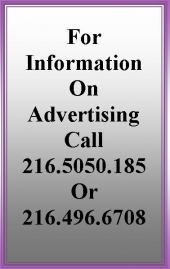 For group sales or other information, email info@playwrightslocal.org or call (216) 302-8856. The play is a reimagining of a Norwegian fairy tale about sisterhood, identity, and trust in oneself. Tatterhood and Sunniva think they understand why their mother never lets them leave their castle. But when the twin princesses set out on a quest to rescue their kidnapped goat, they learn there is much more to the story than the Queen let on. Magic and danger lurk in the forest as the sisters encounter conniving trolls, condescending townspeople, a kick-lining witch, and nefarious princes…all of whom force the sheltered girls to confront how the outside world really sees them. Featuring original songs, live musical accompaniment, and daring swordplay. Run time: 70 minutes. Waterloo Arts Creative Center, 397 East 156th Street. Given Miles’ special fondness for music, Waterloo Arts is very happy to be sponsoring an annual program of six intimate chamber concerts, held in the gallery – usually with a show on the walls to add to the occasion. That space has decent acoustics and brings players and audience so close that the occasions are more musical conversations than formal concerts. Stephen Stanziano - "Four Piano Miniatures" Randall Fusco, piano. Adding to the afternoon will be a show of emerging young artists curated by Orlando Caraballo hanging on the gallery walls. As part of the lead-up to the 50th anniversary of the Cuyahoga River catching fire on June 22, 1969, the Cleveland Foundation’s Creative Fusion: Waterways to Waterways Edition will bring together a group of international and local artists to focus on projects that connect the regenerative efforts for the Cuyahoga to global waterways. Praxis is proud to contribute to this city-wide event by creating three 60-foot banners made of fabric dyed with natural indigo they’ve have grown in their Natural Dye Garden. The finished banners will hang from the Detroit Bridge during the 50th anniversary summer celebration. Two Creative Fusion Fellows have designed banners, and Praxis staff will work with Cleveland residents in nine public workshops across the city to create these banners while learning about the process of natural dyeing with indigo. Tony Williams, a Cleveland-based book artist and art quilter, has shown his work in many local and national juried shows, and has worked on numerous public art projects. He is currently working with indigo on paper, and writing and illustrating children’s’ books. 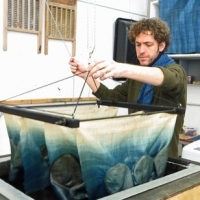 Rowland Ricketts, trained in indigo farming and dyeing in Japan, utilizes natural dyes and historical processes to create contemporary textiles that span art and design. He planted an indigo crop at Indiana University and has mentored Praxis in our own indigo garden. Cleveland Arts Prize will give Michael Stanley a Special Lifetime Achievement Award to celebrate his remarkable 50-year career in music, local media, and philanthropy. And where more suitable than one of America’s iconic music venues, The Beachland Ballroom, co-owned by 2007 Arts Prize recipient, Cindy Barber? Festivities will begin at 6pm with a pre-show VIP party in the tavern, silent auction in the lobby (which will include rock n roll memorabilia) and a special CAP benefit concert featuring An Acoustic Evening with Michael Stanley & Friends at 8pm. General Admission, doors open at 7pm. For additional information visit: www.clevelandartsprize.org. 2019 Lottery League Season is coming! Save the dates! Registration for currently active area musicians has begun, with orientation dates to follow. All past participants looking to participate again can contact The Council at lottoleague@gmail.com. And as always, all new participants must receive a referral from previous participants to be considered. 10 year anniversary of the first ever Lottery League Draft! Held at the old Asterisk Gallery in Tremont (and simulcast at Edison's Pub! ), one decade ago this crazy art project randomly drafted together 33 all new bands in Cleveland, and the rest is as they say, history. It all starts with a Showcase Fundraiser/Pre-Draft Party and the Draft, which take place on Friday, April 5 and Saturday, April 6, in both rooms at the Beachland Ballroom and Tavern. The BIG SHOW, the season-ending day-long free festival showcasing the first live musical performances for all the 2019 season’s newly formed bands, will take place on June 8 at the Hamilton Collaborative warehouse. The event will feature more than 150 active musicians from Northeast Ohio. They’ll be randomly drafted into about 30 all-new four piece bands. No participant can be placed into a group with anyone that he or she is currently, or has previously, collaborated with musically. In the previous four seasons, 499 participants have formed 150 bands. Get Hep’s 20th anniversary and Swing Prom will be at the Beachland this year, with The Pitt Vipers and Sweet B, so get your dancing shoes on. The night will feature a jitterbug lesson, a performance from swing dance champions Alexis Davila and Cyle Dixon, and swing music from the Pitt Vipers! Tickets are $15, or $18 the day of the show, at www.BeachlandBallroom.com. Join Vinyl Cat on Wednesday, April 3, 6 – 10 pm, at the Beachland, and help MUSIC SAVES recover from multiple debts. FREE admission. Come when you can, leave when you want. Beachland kitchen and bar open for food and drinks - get dinner! Raffle prizes & silent auction items! Schedule a visit with Vinyl! Donations for raffles and silent auctions will be warmly welcomed. For the full story of the changes in life and the music industry that led to this moment, go to Melanie’s eloquent explanation at https://musicsaves.com/pages/music-saves-news. There will be 4 fundraisers this year, each attached to its own special event. Larry has also finished a new floor lamp that sports a 1926 license plate, among other interesting bits&pieces. Industrial? Vintage? Steam Punk? You can decide if you visit Larry at his studio gallery on Waterloo - Rust, Dust and Other Four-letter Words 16608 Waterloo. fishingoh@roadrunner.com. 385-7306. NEORSD has announced a $15 million dollar sewer project on E185th St. that should alleviate the water problems that have plagued the area; the old and new systems will be integrated, and the street will be completely resurfaced – although it will not be excavated and closed to traffic, because the work will all be done below ground, boring tunnels. Depending on Dominion gas line issues, the project should begin in May. Take note that until both systems are completed, potential flooding will still be possible. But an end is in sight. In mid-March, Operation Crazy Train, co-ordinated by Cleveland’s 5th District, the DEA, Euclid Police, the U.S. Attorney’s Office, U.S. Marshall’s Office and other police agencies, carried out raids in Ward 1 (on the city’s Southeast side), Ward 8, Ward 10, Euclid Park, the City of Euclid, and portions of Lake County. They arrested 20-odd members of a sophisticated and organized gang that was selling heroin laced with fentanyl and carfentanyl to over 300 drug users throughout the northeast section of the county and Lake County. Also an alligator. Councilman Polensek cites this operation as a shining example of police work based on information from residents. To honor the 50th Anniversary of the final Cuyahoga River Burning, The City of Beachwood, along with Friends of Euclid Creek and The Collinwood Painted Rain Barrel Project, are hosting a rain barrel painting competition for the Greater Cleveland region. There will be a culminating exhibit of designs and barrels in August at Beachwood Community Center. Northeast Ohio is not exactly a cornucopia of fresh vegetables at this time of year - but every week the Coit Road market manages to fill several stands (there’s something to be said for eating seasonally) and very soon the asparagus will arrive - plus bakery, eggs, butter, cheese, jams, pickles. Coming up are classes by the SpiceHound and Needham Farms, who do almost weekly demos on how to use what they’re selling – plus related topics like making cheese. April 13th pasta; April 20th natural egg dyeing. Gamerhaven, home of the Allen , continues to evolve. It now lives in Gatewood Workshare. Allen Wine Bar also continues to experiment with formats, based on offering party services for events held at GamerHaven. On third Sundays, they’ll offer an old-fashioned family dinner; on Thursday, Friday and Saturday evenings, they’ll be a wine bar; and on occasion, the premises will be available for parties. 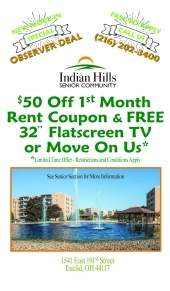 And don’t forget the weekly karaoke and line dancing classes, Thursday and Friday nights. Swingbone is swinging with jazz standards at the Standard on Thursdays from 8-11. A great restaurant just got better! Come for the new menu, the live music with Swingbone and the coolest vibe in Cleveland. Live music lives at the Standard! Michael and Susan Prokop, with Mike’s sister Joanne, have set up the latest version of the Humphrey Popcorn stand in a shopfront adjacent to the LaSalle, where they’ll sell many flavors of the beloved popcorn along with the special-recipe Humphrey taffy kisses, Baker’s chocolate whips, and locally made products like OhFudge sweets and Cleveland Jam wine jellies. All heavily laced with memories. Dudley translated the kettle into a commercial popper that kept the kernels in motion and seasoned as it popped, but it didn’t sell as well as hoped - so he used it to make popcorn, harnessed a horse and cart and drove round to Cleveland’s various parks, selling his grandmother’s popcorn. That sold very well, and the Humphreys opened a popcorn stand on Public Square. Later they followed the crowds out to Euclid Beach - where they did well again, and eventually bought the park with a view to encouraging wholesome family-friendly entertainment. Euclid Beach under their upright rule emphasized exciting rides over such attractions as gambling, and served coffee but no alcohol. Eventually, of course, tastes changed again and Euclid Beach Park closed its gates – the year we arrived in Cleveland, sadly. But Collinwood continued to crave Humphrey popcorn, and the Humphreys went on making it – until Susan Prokop went looking for Humphrey popcorn balls for a high school reunion. She told her husband Mike what she’d found out, and Mike ended up buying the Humphrey company, for reasons not too different from those that moved Dudley Humphrey: a hope of reconnecting Collinwood to its old feeling of community. Then they went on to buy the recipe for Baker’s chocolate (the store on Holmes hung on a lot longer than Euclid Beach; on my first visit, when I mentioned Mitchell’s in Cleveland Heights, Baker’s owner assured me that his grandfather “taught George Mitchell everything he knew!”), particularly for the Baker’s chocolate whip, a deliciously messy confection of chocolate and marshmallow cream that is almost guaranteed to end up on your nose. They are now being stocked in the shop, along with seasonal chocolates (rosebuds when I visited in February, rabbits and eggs for Easter). You can buy these delights in the store or order from the Web site – humphreycompany.com. Humphrey products are available for special events like showers and fundraisers, and they’ll be at Eggshelland at Richmond Mall (over 16,000 original hand painted egg shells on display!) for the two weeks before Easter: Friday April 12th through Saturday April 20th. Times at: www.theeuclidbeachboys.com. And you can keep up with popcorn news on the Humphrey Popcorn Facebook page. Baker’s had a sign behind the counter, “Good chocolate is not cheap. Cheap chocolate is not good.” The Prokops are honoring that motto by paying the higher cost of pure chocolate, made without the fillers that rising prices have persuaded some manufacturers to add. And the Humphrey farm has expanded to more than 1,000 acres, capable of providing a year’s supply to the current popcorn makers. Life is good.